I absolutely love finding new gluten-free bakeries. How can it possibly be good if it is free of so many things? Where’s all the good stuff? Well, let me tell you, their baked goods may be free of a lot of things, but the flavor is not missing. My husband stumbled upon Sweet Love Bakery while looking for a gluten-free bakery so he could surprise me with birthday cupcakes. While he didn’t make it there the day of my actual birthday, he took me the next to pick up cupcakes to take to our families house for a birthday lunch. 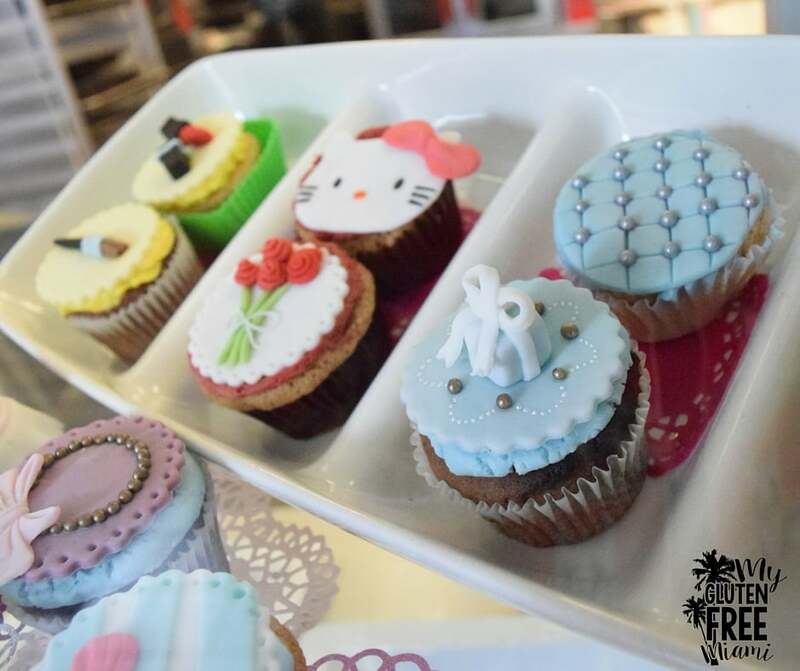 When I walked in, the first thing I noticed was the adorable, decorated cupcakes. It is obvious that Sweet Love takes time to make their products look fantastic! We chose to get a 12 pack of strawberry cupcakes, a little bag of chocolate chip cookies, and, because it was my birthday, the owner gave me a donut as well! The cupcakes were very good. They even put sugar sprinkles on them for me. The texture was a bit more like a muffin, but that is normal for vegan, gluten-free cupcakes. The icing was awesome. My nephew licked all the icing of his first. I had to keep his hands off the rest. They were not as “strawberry” as I had hoped, but they were delicious. The cookies were very good as well. The donut was my favorite. If you are a fan of the Dunkin Donuts type donuts, these may not be for you, but I love cake donuts and these were perfect. The chocolate icing was a nice touch. 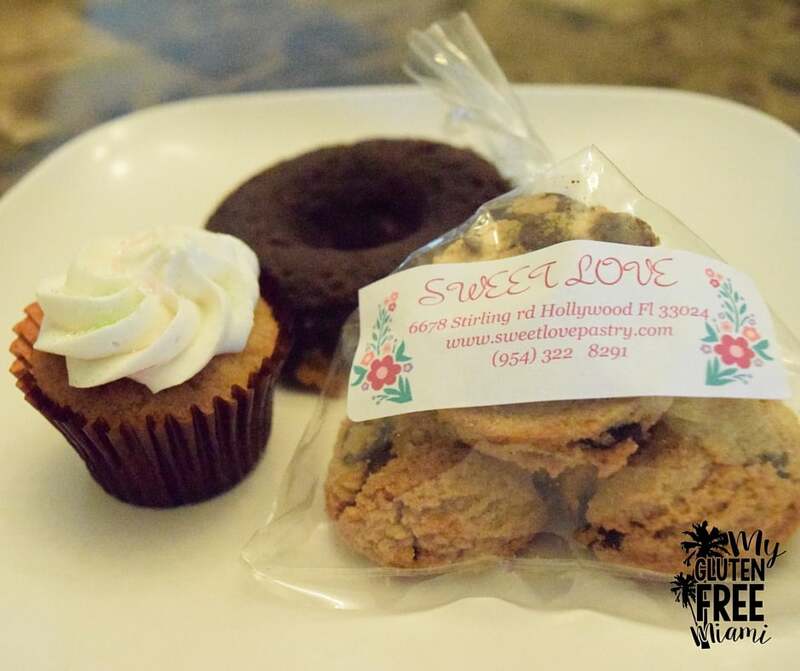 Sweet Love Bakery is a great find. They have an extensive bakery menu with everything from Pizza Crust to Hamburger Buns to Pound Cake. They also do beautiful custom cakes. I am looking forward to trying out more of their delectable products. Check them out, then write a comment below and let us know what you think! Their cupcakes looks adorable. Next time i’m in the area I must take check them out!